Clear all jellies and reach 115,000 points to complete the level. This level has medium difficulty. For this level try to play near to grill or near to cake to break them. 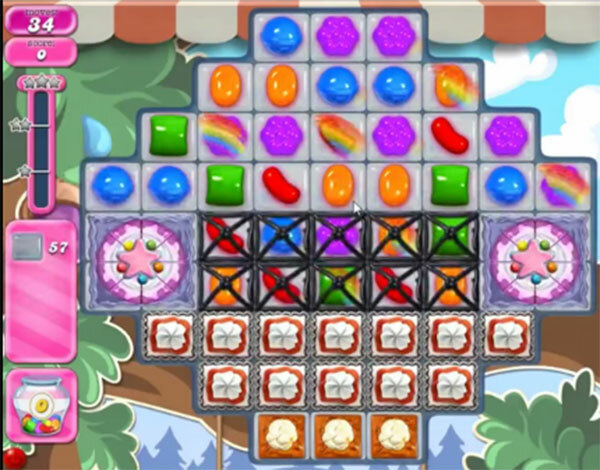 Make special candy as you get the chance and combine it with other special candy to break the jellies. Or play with remaining jelly candy to break them all. 1684 completed! 7 boards! Break Cake wheels. passed on 1st try, I had my space ship and a free stripe. Also try to get 2 color bombs together that helps a lot.